LOVE our food! When in Old Town Alexandria, be sure to check them out. to the best food cities in the U.S. 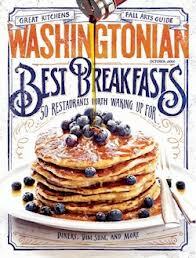 Hot off the press, Duangrat's is one of Washingtonian Magazine's 50 "Best Breakfasts"! Actually, we don't serve breakfast, but our lunch is sooo good, we're included anyways! 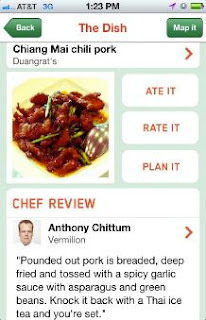 Ahhh, lazy weekends.....whether rolling out of bed late, in-between the weekend Target & Trader Joe's run, or looking for a quick bite before the 'Skins kick-off, Duangrat's keeps weekend lunch casual & fun! 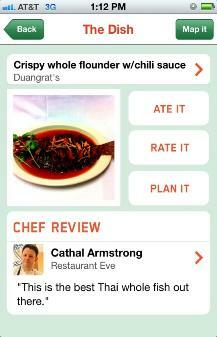 We offer our delicious & diverse Asian small plates menu of 30 a la carte treats, priced from $3 to $7! Just to whet your appetite, think...Kung Pao Chicken Pops, Beef Massamun Curry Crepe, Peking Duck Roll, Lychee Dumplings, Chicken Basil Deviled Eggs...yummm! Want to keep things quick & simple? No worries, we also offer an abridged menu of our 10 most popular lunch entrees, each served with our signature Asian Caesar salad & crispy vegetarian spring roll, each set just $12!